Last weekend the city of San Francisco’s population of forward thinking men grew by an exponential amount.The reason, the 4th annual convening of Dad 2.0; a conference where dads (and some moms) who blog meet to talk on all things dads. I’m not the most outgoing person in the world, and much of the life of the party-ness I once had in my high school and young adult years is now replaced with shyness, anxiety, and quiet fear of rejection, which usually manifests itself with me standing alone in large gatherings, simply watching others talk and interact. Basically I have a black belt in people watching…that sounded way creepier than I intended. So attending a conference with hundreds of outgoing and boisterous dudes made total sense to me. Luckily one of the really cool things about the Dad Blogger group I’m a part of on Facebook (which easily made up 99% of the conference attendees) is that you won’t be allowed to be shy for too long. Whenever I found myself doing my usual wallflower routine, someone would either pull me into a conversation or walk up and start one with me. It was an amazing 3 days spent with a lot of great people. But even with all the fun I had, and people I met, I returned home with not a clue what to write about. Much like last year when I attended my first conference as a blogger (BlogU14), I was in such a haze when I returned that I could not for the life of me focus on what to write about. That is until last night. A man I never met, and only know through stories I’ve read, conversations overheard at Dad 2.0, and 1 Facebook PM saying, “Welcome to the group” upon my inclusion into the Dad Bloggers group, passed away last night losing his battle with stage 4 lung cancer. Oren Miller, A Blogger and a Father, had this amazing idea several years back that seemed so crazy that it might just work. 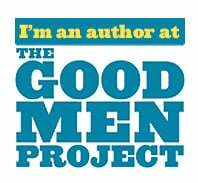 His idea, start a group for men, for bloggers, for fathers. The group would be a meeting place, cyber-speakeasy, where fathers could hang out, talk, vent, joke around, but above all else, support one another. Oren was the undeniable leader of the Dad Blogger group. Even though he would have never accepted that title, it was clear by the esteem everyone holds him in that we would follow him anywhere. This year at Dad 2.0, while fun was being had all around, I could not help but feel the uneasiness in the air whenever someone talked about Oren. While this was my first time attending a Dad 2.0 conference, it felt like something was missing, and clearly that something was Oren. It was evident in a lot of the men in attendance, just behind the smiles and laughs, tears were being held at bay by the smallest thread. The proverbial elephant in the room; no one knew how long Oren would be with us. Unfortunately, the day after we all returned home from celebrating, the picture of how long we, and the rest of the world had with Oren become a lot more clear. In a rare moment, Oren reached out and posted to the group last Monday that he had run out of treatment options, and as he put it, his time had come. Of course we all knew what this meant. With stage 4 lung cancer it could at best be a month or two left, more likely weeks. As it turns out, it was only days. Oren Miller passed on from this life on Saturday February 28, 2015. He was 42 years old. Many now mourn the loss of a great man; a man who was the creator, the father if you will, of the very place we fathers gather on a daily basis. They don’t call cancer the heavy-weight champ for nothing. It rarely loses. And we were reminded of that fact this week. From everything I have read about Oren he was even more humble than he was nice. He never wanted this Dad Blogger group to be about him. He wanted it to be about us. The men who started it with him, the men who have now joined, and the men still out there looking for a place to call home. But that’s the thing about great men; whether they want it to or not, it will always become about them because they inspire us, lead us, show us how to be better, and at the end of the day that is how legacies are born, and Oren Miller’s legacy will live on forever. 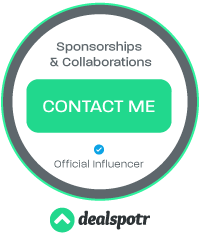 The name Oren Miller will never be forgotten; the Dad Blogger Group and Dad 2.0 Scholarship Fund will make sure of that. And if there is one beautiful thing about the internet (in this case), it’s that everything that is put on it will live forever. That means we will always have Oren’s writings (and his wife Beth’s as well) to reflect on, and learn from. But for now we grieve. 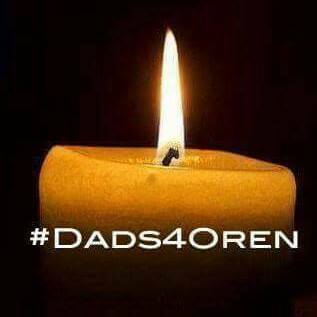 Many of my fellow Dad Bloggers have expressed ways they will honor the memory of Oren (there have been talks of tattoos and namings of unborn children). For me, I will honor Oren by investing in the very reason he started our group for; being a better dad. I’m not saying I’m not a good dad, but I can be better; we can always be better, and Oren knew that. For one, I can be more patient and be in the moment. As Oren discussed many times, this is the only life we get, so why waste it being upset. 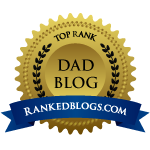 Oren, we never met, and I never was able to tell you this, but thank you for including me in the Dad Blogger Group. Thank you for starting the group. Thank you for all you gave to us. You have changed all our lives for the better. We all know you never wanted all this to be about you, but you will be missed by thousands of people; not many in life can ever say that. Your body may be gone, but your soul will live on forever. Peace to you. A fitting farewell and tribute for a great man taken too early. Wonderful tribute. May Oren rest in peace. My heart is with his family. I have Stage IV Breast cancer. It’s so bothering and painful when the doctors can do nothing else. I’ll have him in my thoughts. Mike, not naive, hopeful. I thought the same about Oren attending next year’s Dad 2.0. Thanks Darrell. I felt so foolish…I guess hope is always good. So sad, Mike. What a sweet tribute to a man who most definitely touched your life in such a positive way. Beautiful tribute, Mike. Sounds like Oren was a hell of a guy. He was a man among men. Mike, I am so glad you have this group and this conference and what a wonderful tribute to the man who started it.